We all know that a mother hen buries her chicks under her wings in the softest feathers of her breast. But I didn’t know the full meaning of this until my husband and I raised some chickens. The chicks are not even visible under the mother’s wings. If one peeks out, she pushes it back in. A good mother hen is vigilant because chickens are vicious creatures. They will eat each other and especially will eat baby chicks. The mother hen has to fight off the predators in her own flock, and she will attack them violently if they go after her chicks! Then there are other predators: snakes, possums, etc. I have seen a mother hen scare away a dozen chickens, screeching and pecking and flapping her wings. She is a fearsome sight. The hen is not merely a warm place of hidden protection. She is the “shield and buckler”—the armed defense, the fighting force. Such is the picture God draws of Himself, for us. 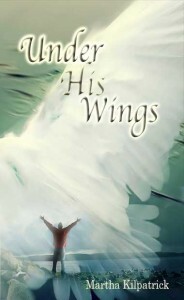 Under His Wings #31 Everything is for Jesus #30 To Guard You in All Your Ways #29 Unshakable Commitment #28 The Great Power of Declaration #27 Reward of the Wicked #26 The Promise that We Will Be Unafraid #25 Union with God Is Our Refuge #24 It Is HE Who Delivers!